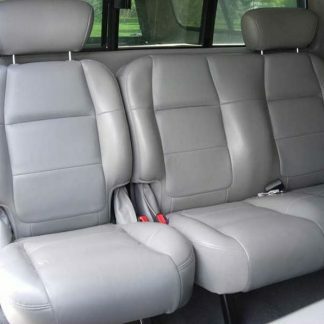 Complete set includes: 2 headrest covers, console and coonsole lid covers. 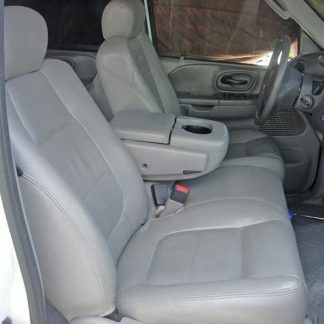 40% Drivers seat bottom, 60% passenger bottom, opening console with two beverage holders. Complete set includes: 2 headrest covers, and covers for the carpeted panels behind the backrests. 60% Driver side, 40% Passenger, two adjustable headrests, has carpeted panels that press into the backrests when the seats are folded down.